There aren't enough food, service, value or atmosphere ratings for Taco Bell, Mississippi yet. Be one of the first to write a review! Great food, great service!! This Taco Bell has it's act together! All of our food was prepared correctly and we got our food quickly. I frequent this place of business often. The food is always fresh and good. The store is also clean. The service is swift and friendly. If you need some late night Mexican food this is the place for you! It is open late, clean restaurant, cheap, and taste pretty good! What more could you ask for? A drive thru? They have that too!! 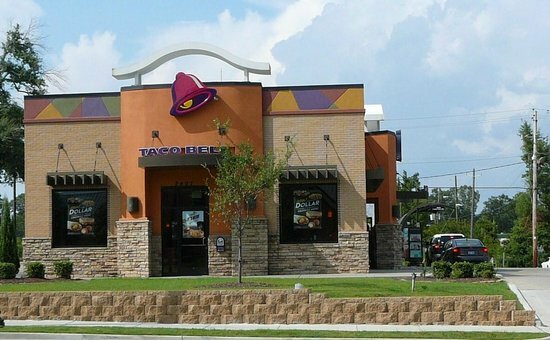 A modern looking taco bell. Good service and the food came very fast. A bit too cools otherwise ok. Would stop here again if we are in the area.